Your engine is one of, if not the most important major component of your car. Without it working in good order, it's impossible for you to go anywhere. If it runs inefficiently, you may face a whole host of problems that can be avoided with relatively simple maintenance. At Cars Trucks & Vans we provide all of the expertise and parts needed to keep your engine running happily and at peak efficiency. One of the simplest ways to determine the condition of your engine is to examine the oil that drains out during an oil change. The oil circulates through much of your engine, so it's a great way to determine the overall health of your car's power plant. Ideally, we want your oil to be darker than when it went in with uniform viscosity and no solid particles. Solid particles are a major concern because they mean that something inside the engine, be it a seal or anything else, is breaking apart. Engines contain a lot of finely balanced mechanisms with only a few micrometers of space for moving parts to clear each other. Any solid particles moving through your engine can cause a massive amount of damage very quickly. 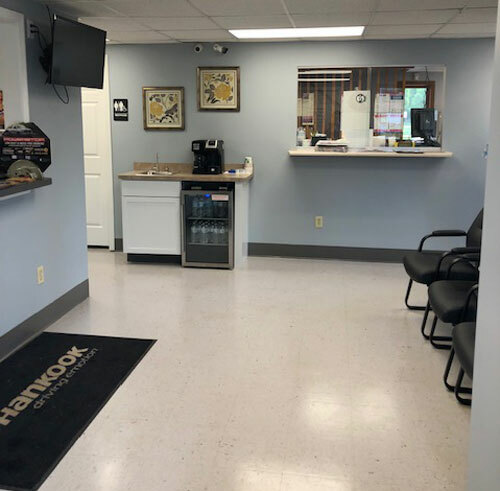 At Cars Trucks & Vans we perform expert analysis on your oil to make sure that everything is working perfectly within your engine's internals, and we carry the best oils to replace that fluid in your vehicle. Another simple item that can save your engine untold misery, is the coolant fluid, which keeps everything running at the correct temperature. The many moving parts inside your engine, as well as the explosions taking place within its combustion chambers, generate a significant amount of heat. As with any machine, your engine has temperature tolerances at which it happily operates. Once those tolerances are exceeded, things can start to go wrong. A common side effect of overheating can be radiator failure. The water that cools the engine becomes heated and pressurizes the radiator past a safe level causing the scalding water to spray out. This dangerous problem can be avoided with the engine coolants used by Cars Trucks & Vans. To work efficiently, your car's engine needs the ingredients for combustion to be delivered in the purest form possible. To this end your engine contains a number of filters which keep everything nice and clean. 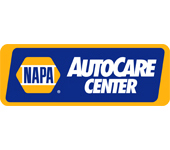 Cars Trucks & Vans's engine thorough maintenance keeps checks on your air, oil, and fuel filters, replacing them as needed to keep your car running at its highest efficiency. Working alongside your spark plugs are the injectors that shoot a precise amount of fuel into the combustion chamber. Over time these injectors can become clogged with contaminants from fuel. Cars Trucks & Vans carries a line of specially developed injector cleaning solutions which open the injector tubing back up and get your car back to making the most power that it can. Engine accessories such as the alternator and air conditioning compressor rely on belts that take power from the engine to run them. Over time, these belts can become frayed and damaged. If your alternator belt snaps, for example, your engine won't be able to generate the electricity it needs to charge the battery and keep itself running. Cars Trucks & Vans can keep a close eye on the health of your accessory belts and ensure that all your engine's pulleys are lined up perfectly to allow for the maximum amount of use from your belts. You can count on the experts at Cars Trucks & Vans to help your diesel engine last a long time. Fuel injection is a system for admitting fuel into an engine. Since 1990, fuel injectors have completely replaced carburetors as the primary means of getting gasoline into the engine. A fuel injector atomizes the fuel by forcibly pumping it through a small nozzle (under high pressure). Failure of the fuel injection system means poor performance and ultimately destroys the engine. Make sure your vehicle's fuel injection system is maintained properly. For all your fuel injection maintenance and replacement needs, call 563-386-0030 or visit Cars Trucks & Vans today. An ignition system is a system for igniting (using an electric spark) a mixture of fuel and air in a gasoline engine. A properly working ignition system means a properly starting engine and high performance from your car. For all your ignition system maintenance and replacement needs, call or visit Cars Trucks & Vans today. Ignition cables also known as spark plug wires are an important part of your car's ignition system. They transfer the spark from the ignition coil to spark plugs that ignite the mixture of fuel and air. The mixture starts the engine. Over time, ignition wires and cables get weak and break down. This makes it impossible for the spark to reach the engine cylinders. This results in the engine misfiring. The car will eventually fail to start. If it does start, it will run poorly. Common symptoms of faulty ignition cables and wires are: poor gas mileage, engine misfires, engine light is on, and engine may vibrate. If your car needs new ignition cables and wires, call or visit Cars Trucks & Vans in Davenport, IA 52806. Here, you will have the wires and cables changed by a top-rated mechanic. A spark plug delivers electric current to the combustion chamber from the ignition system. Spark plugs that haven't been changed for a long time can cause ignition problems. At Cars Trucks & Vans, we have automotive experts who will check and replace your spark plugs. For all your spark plug repair or replacement needs, call 563-386-0030 or visit Cars Trucks & Vans today. Whether you're in need of simple oil service, or more significant engine maintenance, call Cars Trucks & Vans at 563-386-0030 to learn how we can help you get back on the road quickly!